Last year for Easter Emma and I were back at our parents for a few days, so we thought it was about time we made a mess of Mum’s kitchen and did some baking! We wanted to do a slightly different take on a traditional Simnel cake, and came across this yummy chocolate orange Simnel cake recipe. The decoration was another idea taken from Pinterest. So if you haven’t made a cake yet, this one is lovely and the decoration is fairly simple too.. Recipe is taken from Amelia’s House Blog, which contains many other delicious recipes and gorgeous cakes! Icing the cake was very simple. We covered the cake in white fondant and smoothed it to create nice sharp edges. We then rolled out the rest of the white fondant to about 1-2mm thick and used an oval cutter to create lots of white eggs out of fondant. 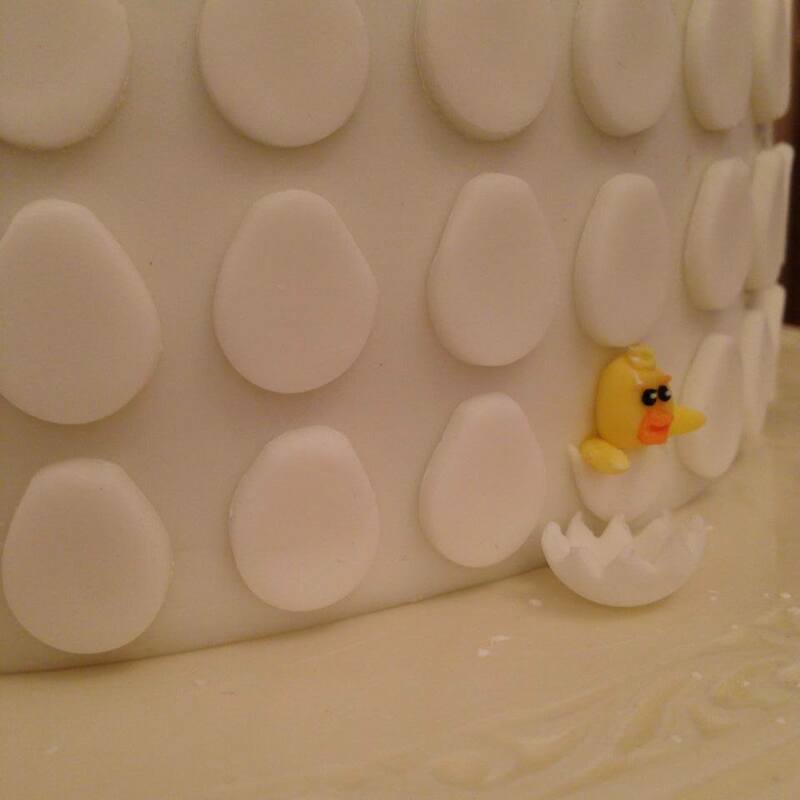 At various positions around the cake some of these eggs were cut in half in a zig-zag pattern to give the impression of a cracked egg shell. 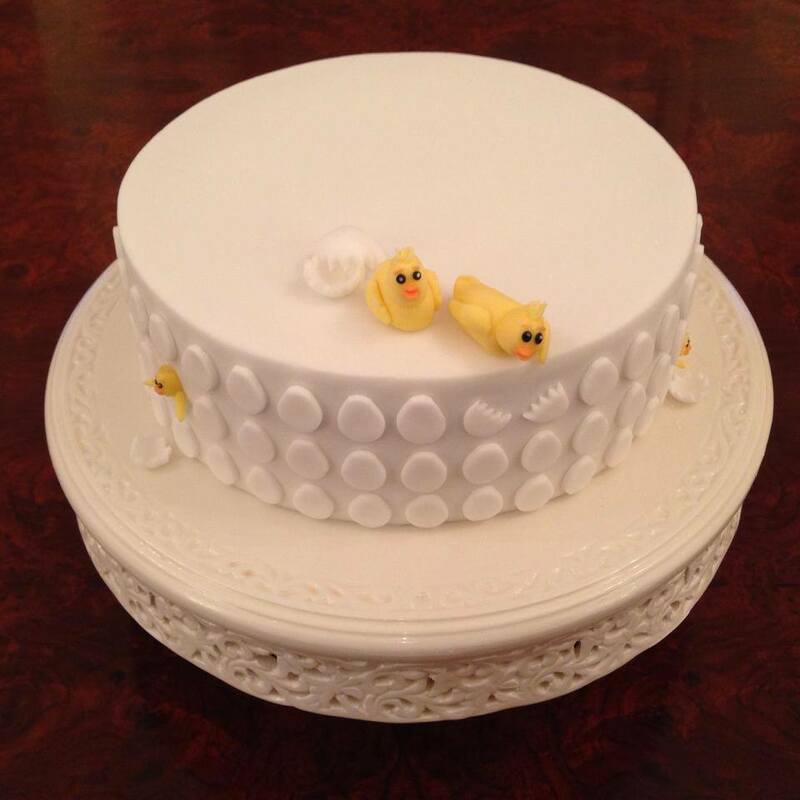 We then make some small chicks using yellow fondant as in the picture. The body, head and wings were made separately and stuck together with a dab of water. Small balls of black fondant were used to make the eyes and some orange for the beaks. 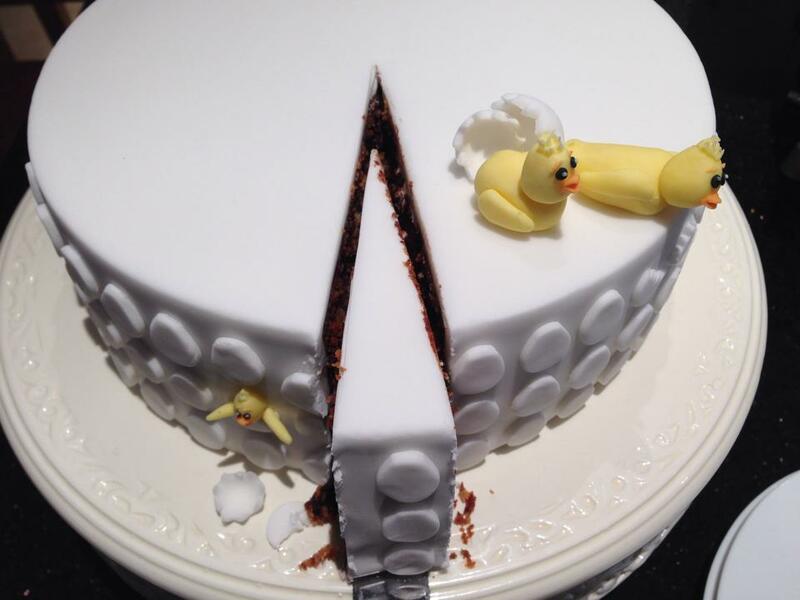 A very tiny amount of yellow fondant was used to create eyebrows and some spikey ‘feathers’ on top of their heads. 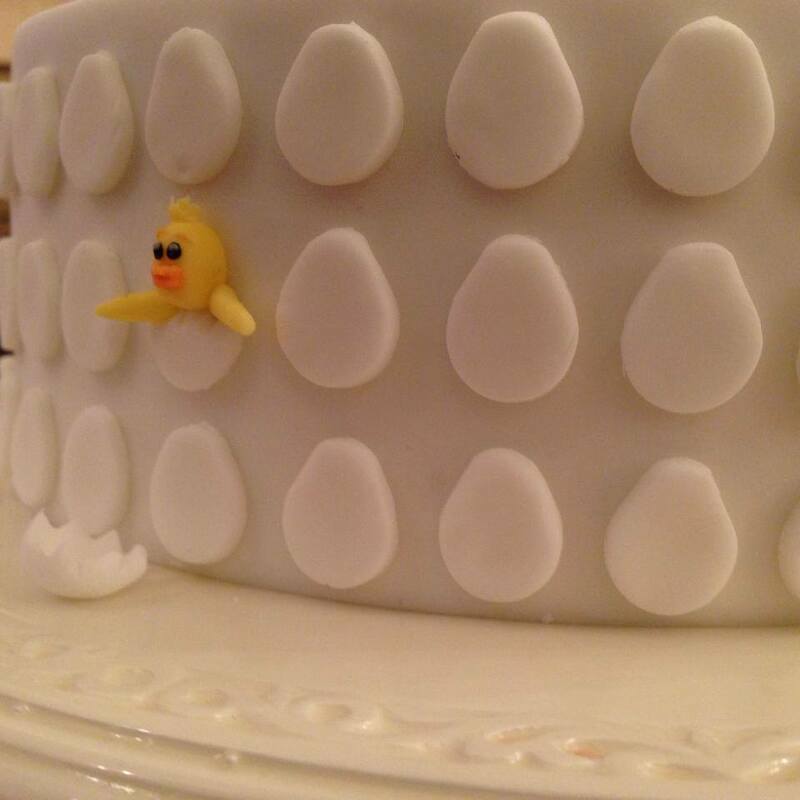 Using some white fondant, we used a ball tool to create the egg shells that were placed on top and round the edge of the cake. It was a simple but effective design and the cake was delicious!